Netflix has released a promo video for the upcoming third season of Stranger Things that introduces a new mall coming to the show's setting of Hawkins, Ind. [post_ads]The clip, released on Twitter Monday, features throwback, VHS-quality video of a shopping mall from the 1980s that features now defunct store chains Waldenbooks and Sam Goody. 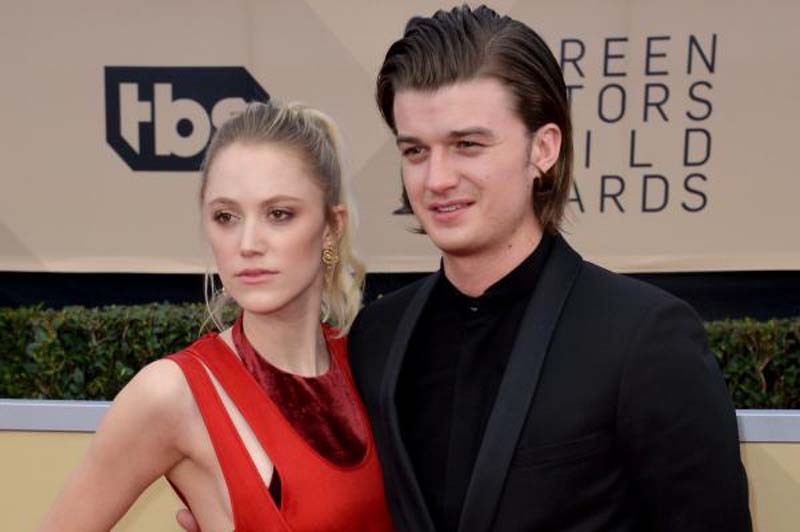 Stranger Things star Joe Keery is seen reprising his role as Steve Harrington when the video starts to promote ice cream shop Scoops Ahoy where he is seen working next to series newcomer Maya Thurman-Hawke as Robin. "Ahoy! Something is coming... to Hawkins, Indiana!" reads the description. Stranger Things Season 3 began filming in April with Netflix releasing a 90-second, black-and-white video that showcased the cast reading their scripts together for the first time. Stranger Things recently earned 12 Emmy nominations including Best Drama, Best Supporting Actor in a Drama for star David Harbour and Best Supporting Actress in a Drama for star Millie Bobby Brown.